Venture into the rugged Idaho Mountains for an unforgettable escape and play Whitetail Club’s award winning course, which has been honored with an inclusion on Golfweek’s 2016 list of Best Resort Courses. The four-season, mountain-lake community has also been named to Golf Digest’s America’s 100 Greatest Courses as well as Golfweek’s Best: State-By-State Courses You Can Play. 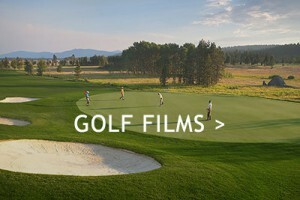 An illustrious feat only reached by five Idaho courses. 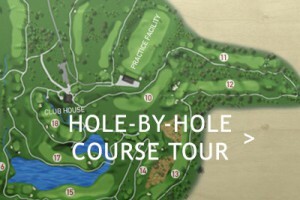 Designed by Roger Packard and two-time U.S. Open winner Andy North, the scenic 18-hole, par-72 course extends 7,200 yards and serves as an important link in the Idaho Golf Trail. Featuring a driving range, putting greens and chipping greens, Whitetail Club also offers a variety of practice environments for golfers working to refine their game. The course’s 3,500-square-foot full-service clubhouse is sure to impress with its pro shop, swing-training equipment and analysis tools, locker rooms, bag storage, restaurant, lounge and outdoor patio. If seeking exceptional, light fare, look no further than the member’s only Golf Grille. Offering breakfast, lunch and bar service, you can take in the spectacular views of long valley while you enjoy your leisurely meal or drink. Step into the 3,500 square foot, luxury-lodge-style Golf Shop and Grille. Here you will find a comfortable restaurant and lounge, expansive patio, fully-stocked golf shop and well-appointed locker room. It is the perfect place to experience some relaxation before or after your next game. Peruse a full line of men’s and women’s golf apparel and accessories, including a wide selection of beautifully designed Whitetail Club logo-wear and locally-crafted specialty items.